If you run a business, curb appeal is essential to your success. You want your property to attract guests and impress clients. That’s why it’s a good idea to take a close look at your parking lot to see what types of improvements can be made. Make a list of tasks and call a paving contractor to schedule service. This minor investment will pay off big time in the long run. When you contact the asphalt paving company, ask about the following services. They’re the kinds of upgrades that will make a big difference in your bottom line. Obviously, repairing any damage to your parking lot should be a major priority. Potholes and cracks send the wrong message to visiting clients. They’ll associate your company’s brand with a lack of professionalism if they see you don’t keep your parking lot in good condition. True, they may technically reach this conclusion subconsciously—most clients aren’t actively judging you based on the quality of your parking lot—but make no mistake, potholes and cracks will have an impact on how a client sees you. If you run a retail store, or any other business that caters to guests, you may very well lose business if you don’t address this kind of damage. When shoppers have options, they often avoid businesses whose parking lots are inconvenient to navigate. They’ll go to one of your competitors instead. Contact an asphalt repair company if your lot is damaged. Doing so could prevent you from losing customers. Faded parking lot stripes have a negative impact on the curb appeal of your property. They simply look less impressive than bright, new stripes. That’s one reason to get in touch with a paving contractor who also offers line marking service. But it’s not the only reason. Parking lot lines indicate where guests should park their vehicles. When the lines are faded, people often park wherever they wish. This can reduce the capacity of your parking lot. Guests will park between spaces, leaving little room for other vehicles. With new parking lot stripes and lines, you can accommodate the maximum number of guests. You can also protect your asphalt from damage. In larger parking lots, stripes subtly enforce basic driving rules. Drivers are rarely concerned with speeding haphazardly across a lot when the lines are faded. This can put your asphalt through a lot of wear and tear. When you have fresh, new lines, drivers tend to be more careful. It’s a purely psychological effect, but it works. The lines restrict their movement. Have an expert take a look at your parking lot to determine if there is a more efficient way to arrange parking spaces. They may be able to find room for more. Even if there isn’t enough room on your lot to add more spaces right now, there could be room on your property to expand your parking lot. Review your property boundaries, as well as the appropriate zoning codes, and see if you can have a paving contractor add more overall space to the lot. The benefits of scheduling this service are obvious. When you have more parking spaces, you can serve more customers, boosting your earnings substantially. Some smaller businesses start out with “parking lots” that consist of large gravel, dirt, or even grass areas. This doesn’t exactly convey a sense of professionalism, but it can be a budget-friendly option for small business owners. As the business expands, it’s important to make the kinds of upgrades that will attract more guests or impress more clients. That’s why growing businesses should look into installing asphalt parking lots. Asphalt is a durable material that will stay in good shape for years, so long as you stay on top of basic asphalt repairs and maintenance. It looks appropriate at any business, too. Whether you run an auto repair shop, restaurant, or corporate office, asphalt is an ideal choice for your parking lot. It also looks better from the road than gravel or dirt. This helps you catch the attention of passersby who might otherwise ignore your business. The quality of your parking lots conveys a subtle professionalism that draws in more guests. These are just a few reasons business owners should schedule service with paving contractors. If your current lot is damaged, you need to fix it to maintain your brand and boost customer satisfaction. If your current lot was made with a material other than asphalt, you can continue growing your business by paving a new one. 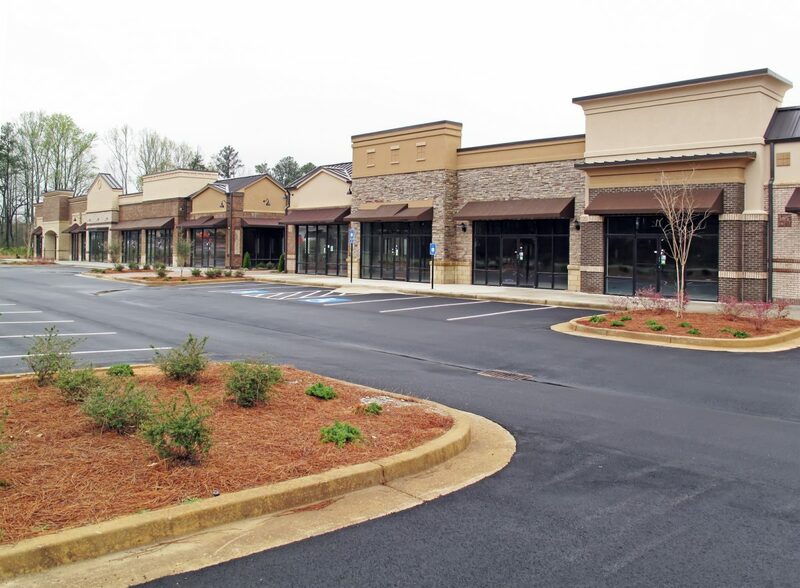 You could even add spaces to an existing lot to accommodate more customers. Regardless of your goals, an asphalt paving company can help.